The Indian prime minister Manmohan Singh has stressed that Asia is regaining its primacy in the global economy with emerging economies accounted for 80 per cent of the world growth in 2012 in purchasing power parity. “In 2013 the IMF expects advanced developed economies to grow at only 1.2 per cent while developing Asia is expected to grow more than five times faster at 7.1 per cent. The Asian region is expected to play a crucial role in driving and stabilizing the global recovery process,” he noted. He was speaking at the Annual Meet of the Asian Development Bank in New Delhi on Saturday. “The 21st century is rightly spoken of as the Asian century,” he said. Singh also stressed on China and India’s role in the rise of Asia. “At Purchasing Power Parity, China and India accounted for 35 per cent and 10 per cent of world growth respectively in 2012. This trend is only likely to continue in the years to come,” he noted. However, the Indian prime minister also spoke about poverty in the region still ranking as the most dividing factor. About 1.7 billion people live on less than $2 per day. “Poverty alleviation must indeed remain as the most immediate goal of public policies in Asia. At the same time there should be a longer-term view and a vision of an Asia beyond poverty, a vision of shared prosperity,” Singh urged. Regional integration and common development of Asia is one of India’s foremost concerns, the premier asserted. “India is a firm believer in the benefits of regional integration and is committed to promoting it. We stand committed to deep engagement with the countries of East and Southeast Asia,” Singh said. 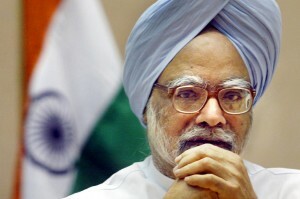 Singh also said that India has pushed reforms and taken initiatives to spur investment.